Danish Red Cross nurse Nina Borg has been following Natasha's case for several years now, since Natasha first took refuge at a crisis center where Nina works. Nina, who had tried to help Natasha leave her abusive Danish fiancé more than once, just can't see the young Ukrainian mother as a vicious killer. But in her effort to protect Natasha's daughter and discover the truth, Nina realizes there is much she doesn't know about this woman and her past. The mystery has long and bloody roots, going back to a terrible famine that devastated Stalinist Ukraine in 1934. ©2013 Lene Kaaberbøl and Agnete Friis (P)2013 Blackstone Audio, Inc.
Misplaced accents, mispronounced words, frustrating rhythm, missing consonant sounds - made for a laborious listen. Another brilliant novel from the authors, beautifully translated, full of interwoven plots and deep understanding of the human psyche. The narrator approached her task with clarity and sensitivity. What made the experience of listening to Death of a Nightingale the most enjoyable? Without the narrator, I don't believe I would have been able to follow the story. From the unusual names and places to the swings in time, it was difficult to follow. Susan Boyce made it a great experience. 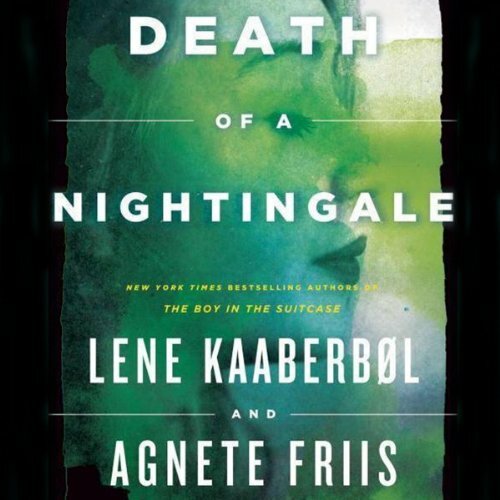 What other book might you compare Death of a Nightingale to and why? It could be compared in some ways to Boy in a Suitcase but it was more complex. She did an excellent job with the difficult names and places. She made the story enjoyable. If you could take any character from Death of a Nightingale out to dinner, who would it be and why? The little girl "Lena." She had more imagination than all the grown ups put together. What a horrible book - what in heavens name were the authors thinking. I read some reviews that sounded like this would be interesting.